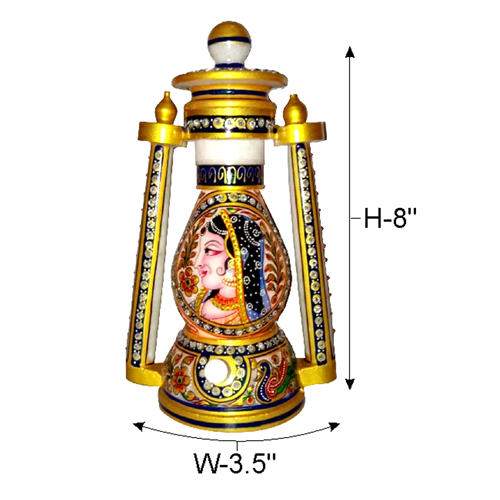 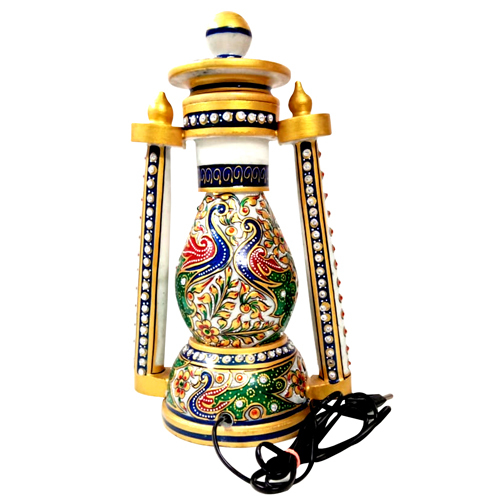 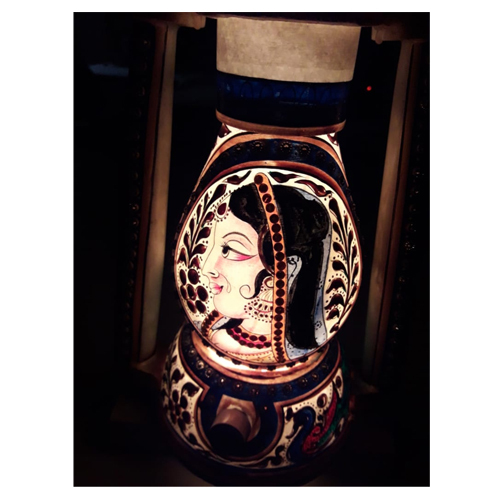 Handcrafted Lantern In MarbleDimension: H-8 Inches Approx.LANTERN (Marble) A masterpiece in mar..
LANTERN (Marble) A masterpiece in marble, Its glowing / beaming look (when electric bulb lit up inside)makes it an unparallel gift, adorned with ajestic embossed painting - subtle stokes of radiantgolden, red & green colors. Glowing/ beaming Light that comes out of the marble body can be regulated. 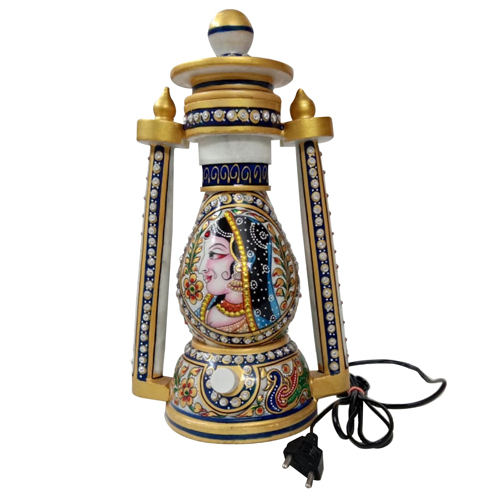 Worth to add brilliance to Drawing Room, Bedroom, Dining Room (Lantern-night dinner),hotels, office/ workplace reception’s decor. Tags: Lantern Face Design 8"